Holidays in Nago-Torbole ↔ Discover Lake Garda! The constant wind makes both surfers and kite surfers happy, but mountain bikers also get their money's worth in Torbole. The small village in the east of Riva del Garda has little more than a few houses. In recent years, however, numerous hotels and apartments have been added, which attract primarily one type of visitor: surfers! The municipality of Nago-Torbole consists of 3 small towns, with Torbole certainly the most famous among its holidaymakers. The little town of Nago is above Torbole, located about 200 meters above sea level, where you'll find a former citadel. South of Torbole is the tiny town of Tempesta, which consists of only a few residences. Thanks to reliable wind strength and optimal water and beach conditions, Nago-Torbole is one of the most important surfing centres in Italy, indeed Europe. The northern end of Lake Garda is blessed with a steady breeze that will attract any surfer from beginner to professional. Large areas of the beach are reserved exclusively for water sports enthusiasts, who can ride the waves to their heart's content and use every rising gust of wind. In addition, almost every hotel is equipped with its own board rental and special services. There are surf schools and surf shops on every corner. Passionate cyclists and mountain bikers join the many surfers and can find a myriad of tours in the mountainous regions of Nago-Torbole. Despite the outwardly sporty, youthful flair, the village has another side which you can see in Piazza Goethe is the centre of a small old town on the mountainside. Here, in 1786, the German poet made his first acquaintance with Lake Garda, which for him was a brush with ancient times. You can enjoy the best view of the lake from the forecourt of the Parish Church or from the viewpoint at Belvedere. A leisurely walk leads across the new bridge over the Sarca to Riva or to the Parco degli Olivi at the upper end of town and on to Nago through picturesque vineyards. Torbole is a paradise for water sports fans. The modern church was built in 1939 and is directly located at the lake in the beautiful Parco Pavese. 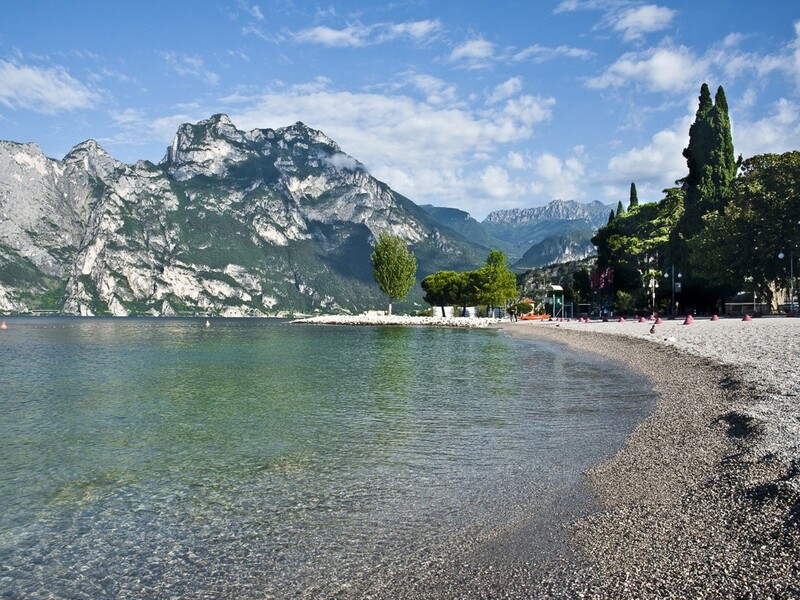 At the famous Lake Garda, there are a lot of possibilities for outdoor activities directly on the shores. A wonderful pebble beach invites you to relax and to enjoy the numerous sunny hours. 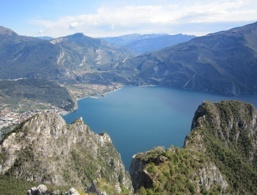 To its visitors, Torbole offers a quiet atmosphere with breath-taking view over Lake Grada. 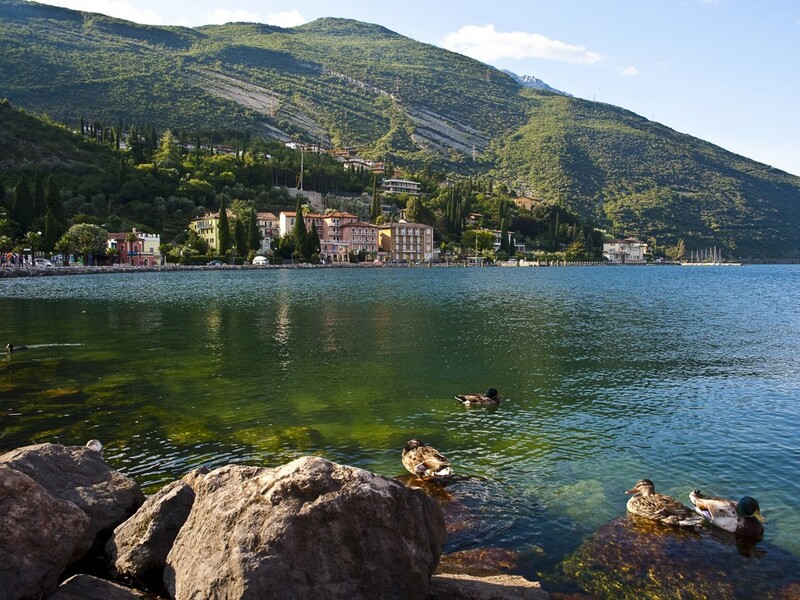 The picturesque village of Torbole is nestled in a beautiful natural and cultural scenery. 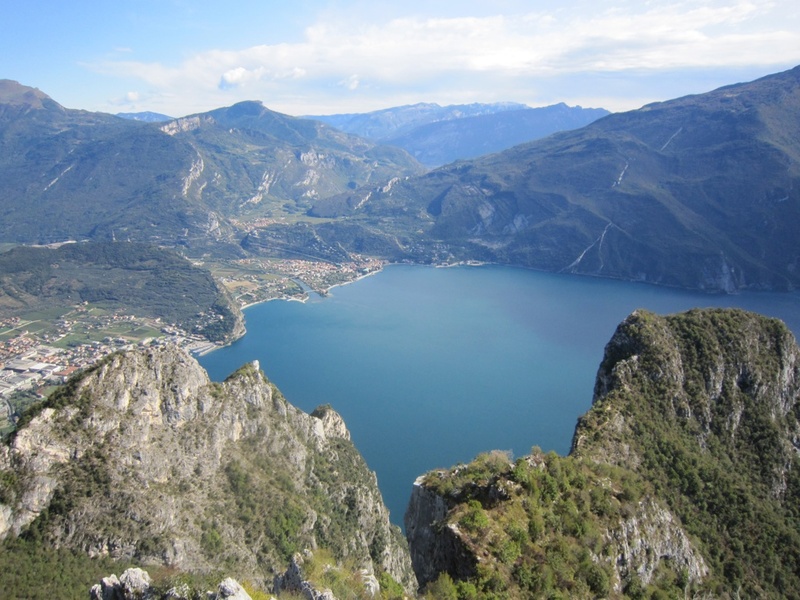 From Torbole you get a view over the steep coast of the northern part of Lake Garda. Nago-Torbole with its main village Torbole is situated in the province of Trient at the northern part of Lake Garda. 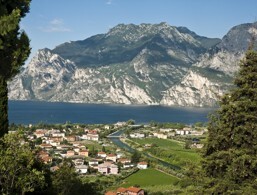 Nago is situated at the foot of Monte Altissimo (2,079 m), the highest elevation of the municipality of Nago-Torbole. The border between Italy and Austria lay here until the First World War and on a jetty in the harbour basin is a small customs house from the time of the Austro-Hungarian Empire. The origins of the cottage are probably even further back, as a relief on the outer wall reminds you of the Venetian period. In the summer months, the customs house is partly used as a bar. Not far from here is the red Casa Beust with a slightly faded fresco by the Berlin Romantic painter Johann Lietzmann, who lived and worked in Torbole for many years. It is one of the largest and most impressive buildings of Torbole and has already been used as a hotel, barracks and military hospital. In recent years, the Colonia Pavese has undergone extensive restoration work to accommodate new convention rooms, a library and administrative services. The small but beautiful old town of Torbole is located on the mountain side of the village, around Piazza Goethe. There is also the Casa Alberti, in which the great poet lived for a short while and worked on his "Iphigenie auf Tauris". A tablet with an inscription reminds us today. There is a small pedestrian area as well as the Parish Church of Sant'Andrea in the old district. The tranquil mountain village can easily be reached by foot. There is a special view of Torbole and the lake up there. You can also see the church of San Vigilio and the ruins of Penede Castle, which was destroyed by the French in the early 18th century. The accommodations at Torbole-Nago were rated 4.2 out of 5 stars by 95 users.